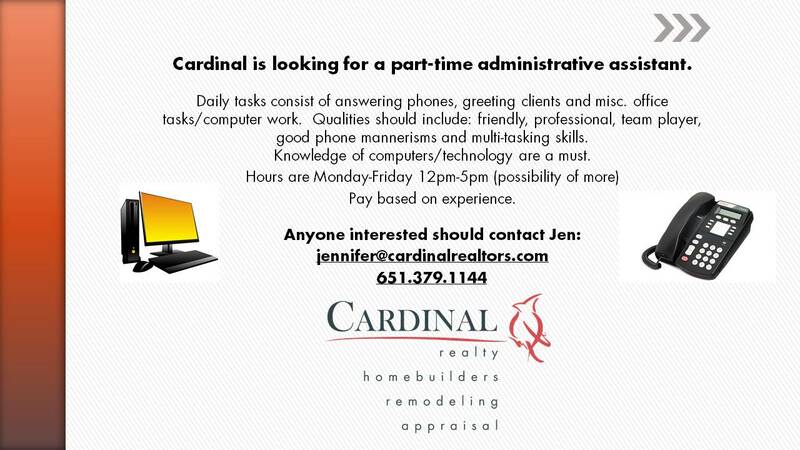 Cardinal is hiring a part time administrative assistant. Daily tasks consist of answering phones, greeting clients and misc. office tasks/computer work. Qualities should include: friendly, professional, team player, good phone mannerisms and multi-tasking skills. Knowledge of computers/technology are a must. Copyright 2019 Cardinal Companies. All rights reserved. Responsive Design by Saint Paul Media, Inc.